A couple of weeks ago we posted about our Travel Bucket List for our Ultimate Adventure. Craig and I debated about whether to list the upcoming Rugby World Cup in New Zealand for this year, or in four years time. 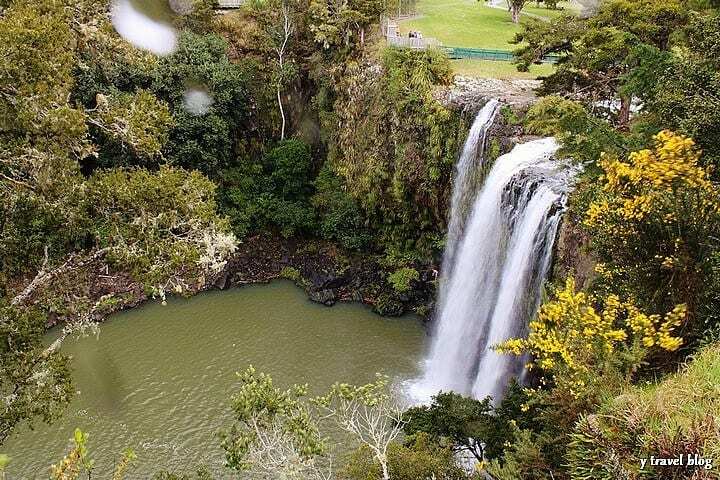 I opted for four years time as I couldn’t see how we could organize ourselves to get to New Zealand for the event in just two months time, and I am due to give birth any day now. And that is the beauty of life. You just never know. Never plan your dreams based upon your own limited thoughts on what is possible or what you can do. Dream big. You do not know what is working behind the scenes for you to bring you your dreams. There is magic in this world of ours, and usually all we have to do to tap into that is to dream, decide on what we want, and play full out by taking action steps every day. Before you know magic happens and your dream arrives to you effortlessly and easily. Who do you think is going? We had a really great time at that event and loved promoting the competition. 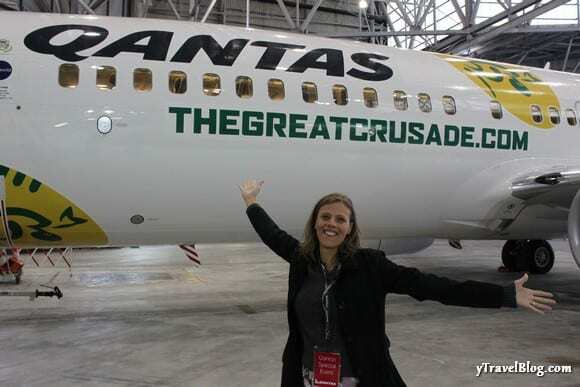 Qantas have now invited yTravel Blog to participate in the Great Crusade as one of the official Great Crusade Correspondents. As it’s not really a family event, we can’t take the kiddies with us. This meant that one of us could go and one would have to stay. Yes. It would be a bit mean of me if I hijacked the campervan, as Craig is the ex-professional rugby league player and general all round sports addict. Besides, I am the milk factory for the next several months and am more than happy to have a two weeks girls only club with my daughters. If only we could do it in New Zealand too. This means that Craig will join the second leg of the tour in order to write, photograph, video, and do live social media updates surrounding the tour of New Zealand and the rugby events. He will get to experience Rugby World cup games and follow the Qantas Wallabies around New Zealand and watch them play. And he will also get to attend lots of official events and parties, meeting celebrities, TV and radio hosts and interviewing them, and enjoying the beauty and adventure of New Zealand through sightseeing, quad biking, jet boating, bungy jumping and a whole lot more. He reckons he won’t be bungy jumping (he has a HUGE phobia of heights) but I reckon he has to now for a good story. What do you think? You betcha! When you combine our two greatest passions, travel and sport, we are over the FRIGGIN moon with excitement. You may wonder why I am excited as I am missing out on all the fun. But did you not hear me say I was having a two week girly adventure of my own here in my home town, working behind the scenes to help publish all the amazing stories that Craig will be living? While I am a little shattered as I would so have loved to experience this as well, I am immensely excited by the opportunity this gives our blog. This is our passion and something we have worked so hard for over the past year, there is no way I am going to get in the way of an opportunity like this. Sacrifices always have to be made when you are striving forth to the attainment of your dreams. Making the sacrifice is well worth it for motherhood. Craig also has to make a sacrifice in that he will be away from his three gorgeous girls for two weeks having immense fun without us. Something we have never done before. The Great Crusade is us to a T. This is what we envisioned doing on our Ultimate Adventure, and here we are starting it in just a couple of months time. Our gratitude goes very deep, not just for the fact that Qantas believe in what we do enough to see us as a valuable part to the whole Crusade, but that we get to experience the beauty of New Zealand and share it with you. Craig can’t wait to visit New Zealand and highlight the travel experiences and opportunities on our blog. So now the build up to the Great Crusade begins for us and to the kick start of our own Ultimate Adventure. We’ll just have to incorporate the Rugby World Cup of 2015 in now so I can check that one off as well. 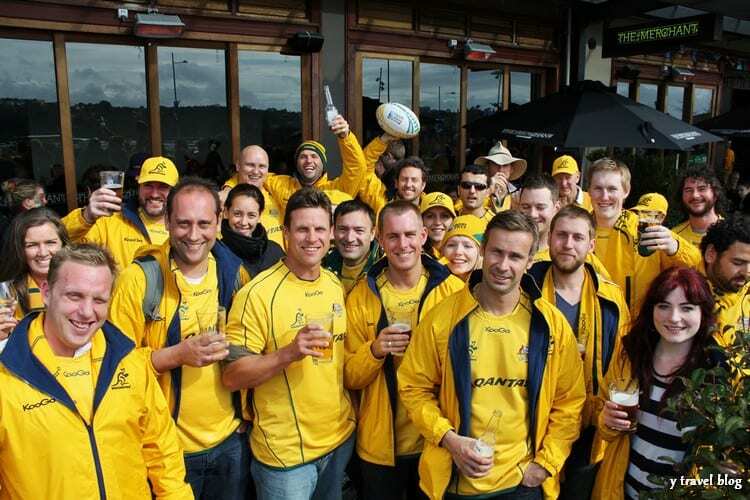 Let’s just hope the Australian Qantas Wallabies Rugby team can fire up in time to bring home the Cup! Dream big everyone – you deserve it. Caz, I am so so so happy for you and Craig. Enjoy it all. ALL of it. This is what life is truly about. You inspire me. Awesome work. Thank you so much Lina. We really appreciate your support and enthusiastic encouragement. This is what it is all about!! Dreams are there to be claimed. It’s great when you can merge several of your passions together. No wonder so many of us travellers never want to stop. That’s great news congratulations!! I love this quote “Never plan your dreams based upon your own limited thoughts on what is possible or what you can do.” So inspiring! I’m hoping to get to a game around Wellington. Enjoy this amazing experience!! Wow!!!! Craig will have so much fun and that camper van looks so good!!! I would think VERY highly of Craig if he does do bungy jumping-I could never do that! !….but if it’s for a story..??? Hope he has a great time! Some things sometimes aren’t worth the story. I don’t think he will do it as he has a bit of a dodgy back and we kind of need him to come home with it working okay. i would really love to see the video of him doing it though. Craig will have an amazing time! Thanks guys! I can’t wait to read about it either. That is totally awesome news! So stoked for you Craig, you’re going to have an amazing time! That’s the best news guys! Can’t wait to read about a rugby tour from a travel bloggers point of view!! Yes! 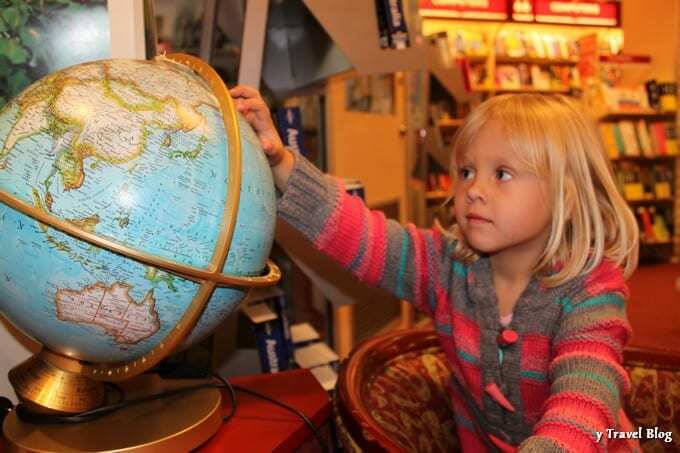 It’s great that New Zealand gets to be highlighted as a destination as well as the rugby. I’ve never been to NZ and dying to go so I’ll be keen as to live vicariously through Craig for now as well. Congrats, such an exciting trip! Congratulations on being selected! You really do deserve it as you run an awesomely inspiring blog! I’ll be looking forward to reading the updates! 🙂 Even if I am a huge Springbok fan. 😉 Enjoy it! Thanks so much Abie, and we’ll forgive you for following the Springboks. It’s not their cup this time!! Big dreams can come true! Glad that both of you have exciting plans. Will be fun to hear about Craig’s Great Crusade adventures reported via Caz. Rugby? Not really a big fan, but that’s only because I’ve never been exposed to it much here in the U.S. A trip to New Zealand could get me interested really fast. You grow to love rugby once you have experienced a few live games and the spectator hype and party that surrounds it. It’s a fun event. Craig will be doing the reporting, I’ll just be editing and publishing!! He’s ready for the challenge. Congratulations guys, that sounds like an amazing opportunity! Does it come off the bucket list though, if only one of you gets to go? Or will poor Craig have to do this all over again four years from now? I think Craig, under sufferance, will have to do it again in four years time. We can check it off the bucket list, as I actually went to the World Cup Rugby in 99 in Ireland. But, not in the style that he will be doing it. AW good one guys! Congrats, Craig – it’s a perfect fit for you! Jacks I would so love to catch up!! Let’s organize it. We’re always up for a trip to Sydney. The Campbell family loves a lot of girls don’t they? Thanks Linda! I was listening to a podcast today that was talking about all the amazing and unexpected things that can come from just living your passions. I got to watch the Hong Kong Sevens last year and I’ve been hooked ever since! I definitely want to see another rugby event like it somewhere in the world! Congrats on your gig, that’s O for Awesome! Oh and by the way, you cannot NOT bungy jump. I had a serious fear of heights until I bungied. Now I’m a bungy addict; it’s the best thing I’ve ever done. I suggest you get yourself to Kawarau Bridge and just do it without much deliberation, and then crank it up a notch with the Nevis Bungy – you’ll have the most amazing views over the Nevis valley!! Thank you! Craig is very excited to see more of and share your beautiful country. I don’t think the bungy jump will happen for him but he will take lots of photos of others doing it instead 🙂 Does that count? I wish it was my beautiful country, but I’m not actually a kiwi 🙂 I’m sure Craig will find tons of other adrenaline-fuelled sports to try out. Perhaps zorbing, or jetboating? I’m curious to see what he gets up to. Can’t wait to hear about your big dreams coming true as well!! i think your dreams have to be wild and have to scare you a little. If they don’t then you are not thinking or dreaming big enough. And having that belief is key. You can do it. There is no reason why. I always think if someone else is doing it then why can’t i? And always surround yourself with the people who think the same way and dream just as big. They will help you to believe its possible. The campervaning sounds fun. I look forward to Craig’s reports from NZ! Congrats, guys! This is great for you and other adventurers out there. The list is getting longer every day! It’s great yielding this power of him now. You know I really hate washing up and I really love massages. I hope so too Christy. It is definitely a great path forward for bloggers and brands. You gotta be dreaming big and acting big in order to make it work for you. Congratulations!! That is so exciting for you guys!! I think Craig definitely had to try bungey jumping! I don’t think you could go to NZ and not get to know rugby. I just hope they don’t cry too much when the Wallabies outplay them 🙂 Ha Ha better be careful what I say, after the way we are playing lately I could possibly be eating those words. 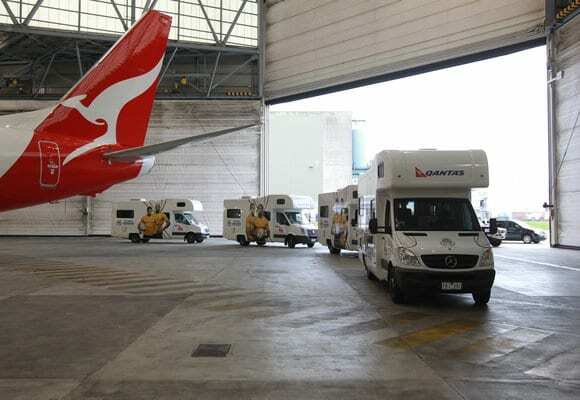 We love Qantas to which makes it all the more exciting. They were my very first flight so how can I not love them! Yessssssssssss! I tell everyone DREAM BIG!!! I love love love that something on your BL came true and so quickly. CONGRATS! Aww I’ll be in New Zealand the weekend before–checking out the USA vs Australia game! Would have been great to meet up–what an awesome opportunity, can’t wait to read about it! Bad timing!! He would have loved to met up with you for that game. You will have a blast as well. Awesome, Nice one. I too shall be camper vanning around NZ come September supporting the Springboks as they try retain their World Cup crown, so if I see Craig’s convoy, I’ll flag them down for a beer. He would love to have a beer with you. Not sure about the reclaiming of the crown but we’ll see!! you should have a great time. Have you got tickets to any of the games? I like the rugby, but I love New Zealand! I spent almost two years there and didn’t even make it to the South Island. I loved what I saw though and long to take the kids back to do the big campervan tour. Lucky Craig! i know I’m so jealous as I’ve never been to New Zealand and really want to experience it. Congrats guys! While I’m not a fan of rugby, I do love a good festival atmosphere and the RU World Cup does a great job of capturing that. And the publicity and experience certainly aren’t to be sneezed at either. Looking forward to reading all about Craig’s adventures over on the shaky isles. I don’t think you can beat the festival spirit. Gets you hooked into the game! Oh my gosh – that blows my mind. You have opened up a whole new world of “What if” for us!! We are a family of seven, getting our motorhome ready to travel Australia. I have had this dream of sharing Australia with our five boys for so long, but did not know how to go about it. Thank you for showing us how to dream big, and for having quantas support your tour of New Zealand. I am so looking forward to following your journey as hubby does the tour, and you stay home posting about it!! This is awesome! Would you believe that I’m doing the first leg of The Great Crusade from September 10? It would have been great to meet you but we’ll miss each other by a few days! No, not anymore!! Just found out today that the dates have been switched and Craig is on the first leg, sharing a campervan with you!! You guys will have a blast. Congrats guys!! That’s so awesome. Have a blast Craig!! It will be so much fun!!! Brilliant news and what a woman you are Caz:) Craig will love it. NZ rocks! Congratulations…what a way to score! Congrats for the amazing duel combo, sports and travel!! I am myself a big cricket fan and just love travelling! !